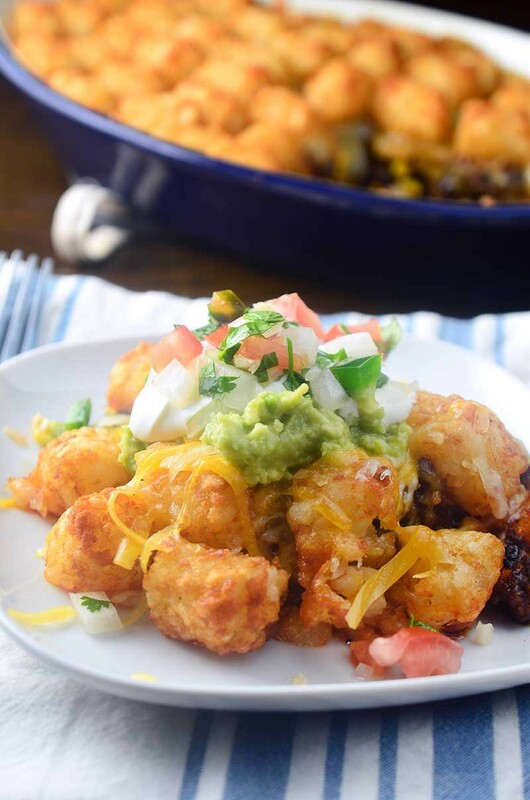 This Chorizo Tater Tot Casserole is such an easy Mexican-inspired casserole recipe! Loaded with chorizo, black beans, corn and cheese, then topped with tater tots and baked until golden brown and bubbly. Holy casserole deliciousness, Batman! You guys have GOT to make this chorizo tater tot casserole recipe. Like tonight, it should be on your dinner table. 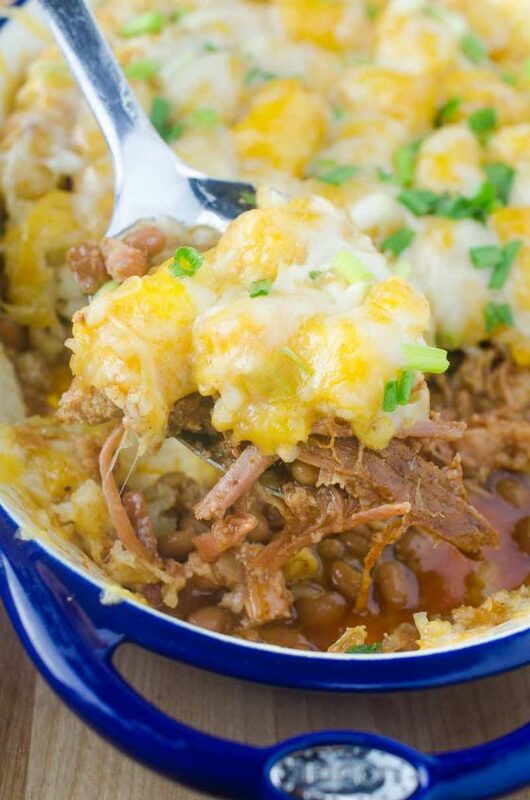 There is so much deliciousness in this easy casserole that I can barely handle it. Layers of chorizo, black beans, corn, diced green chiles and cheese. topped with tater tots and baked until golden and bubbly. But wait! There’s more! Then you pile it high with guacamole, pico de gallo and sour cream. See what I mean? Utter tater tot casserole bliss. 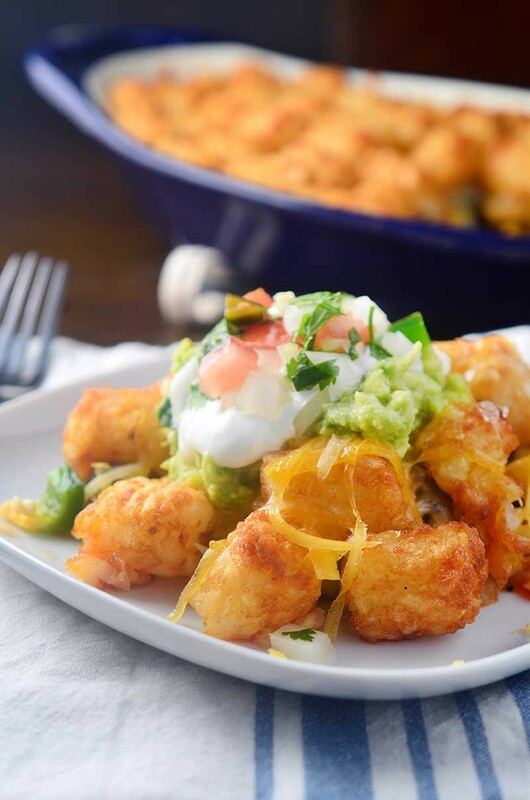 Check out this quick video tutorial so you can see just how easy this chorizo tater tot casserole recipe is to make! I have had a love of tater tot casseroles since I made this Andouille and Chard Tater Tot Casserole a couple of years back. 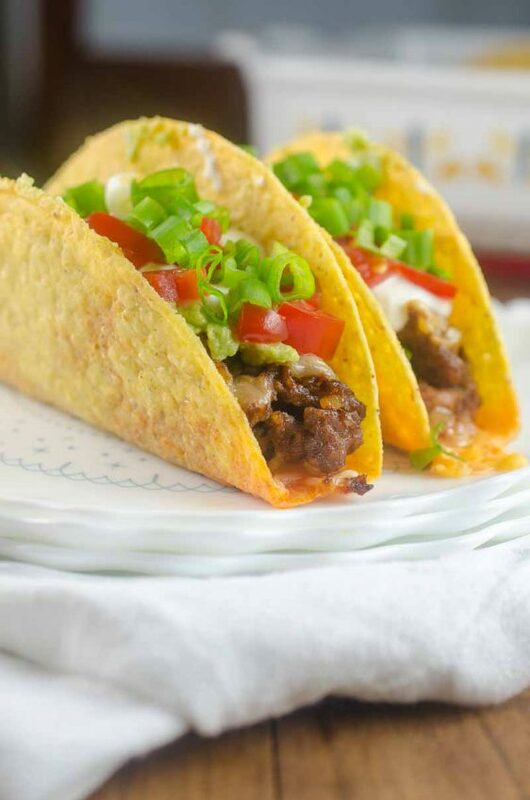 They are quick, easy to make and can be pretty much done with any kind of ingredients you want. I decided to give this one a Mexican flare because Mexican seems to be one of the most favorite cuisines in our house these days. Unless you count ketchup as a cuisine, because I swear my boys would eat that with a spoon if I would let them. For this simple dinner, the toppings are what send it over the top. This baby is LOADED. Shredded cheddar, guacamole, pico de gallo, sour cream. Oh man. I decided use homemade pico de gallo and my own guacamole because my boys decided to nap that day, so I had the time to do it. If you don’t have the time, store bought versions would work just fine. Whatever you do though, don’t skimp on the sour cream. 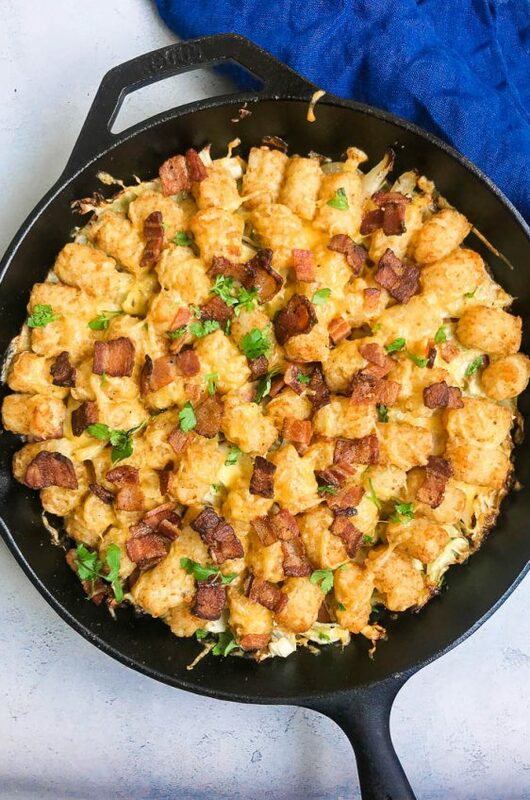 If you’re looking for more Tater Tot Casserole Recipes check out: Chorizo Tater Tot Casserole, Andouille Tater Tot Casserole or Tater Tot Pizza Casserole. In a large skillet cook chorizo until cooked through. Drain grease but reserve 1 tablespoon. Return chorizo and reserved pan drippings to the skillet and add in onion, corn, black beans and green chiles. Cook until the onions have softened and the corn is cooked through. Transfer chorizo mixture to a 2 quart casserole dish. Spread 3 cups of shredded cheese over the top, reserve the remaining cup for toppings. Layer tater tots on top of the cheese. Bake casserole in preheated oven for 20 - 25 minutes or until tater tots are golden brown and crispy and edges are bubbly. 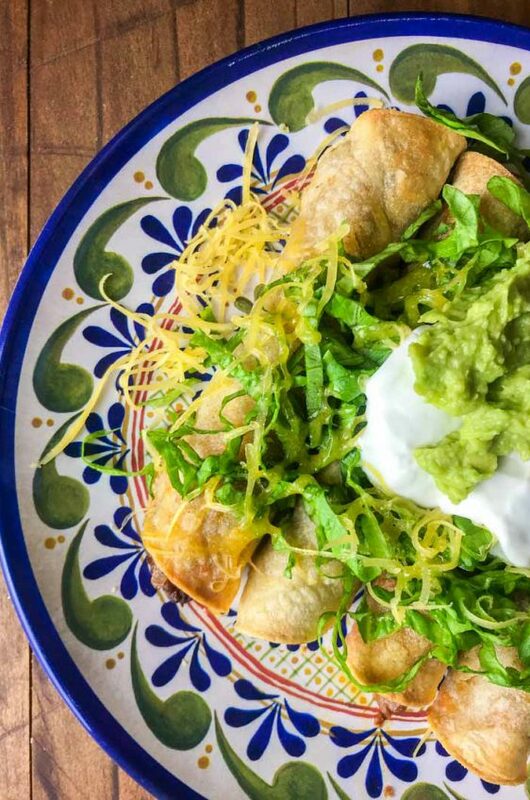 Remove casserole allow to cool for several minutes, scoop servings on to plates and top with cheese, sour cream, pico de gallo and guacamole. I have some tater tots in the freezer! This so needs to happen! Oh man…this looks good. Perfect for watching the game! Yeah, I have no words, just pass the casserole and let me enjoy. 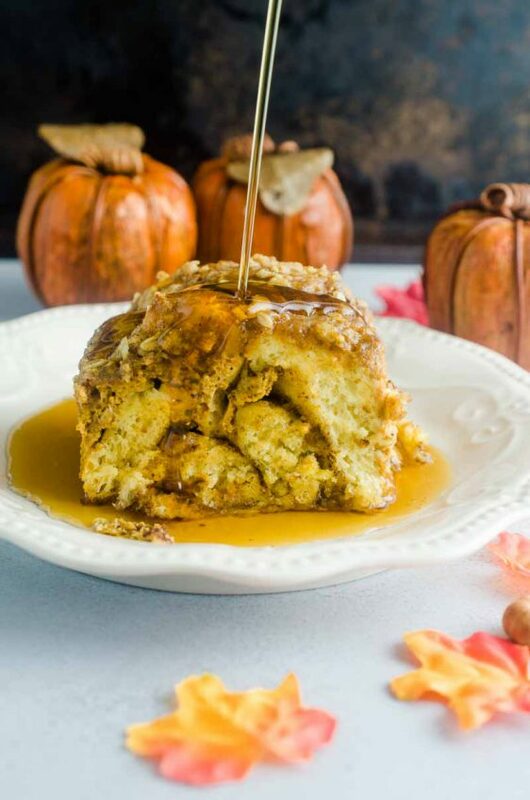 Yum…definitely making this next time I have company for brunch! My mouth is watering! 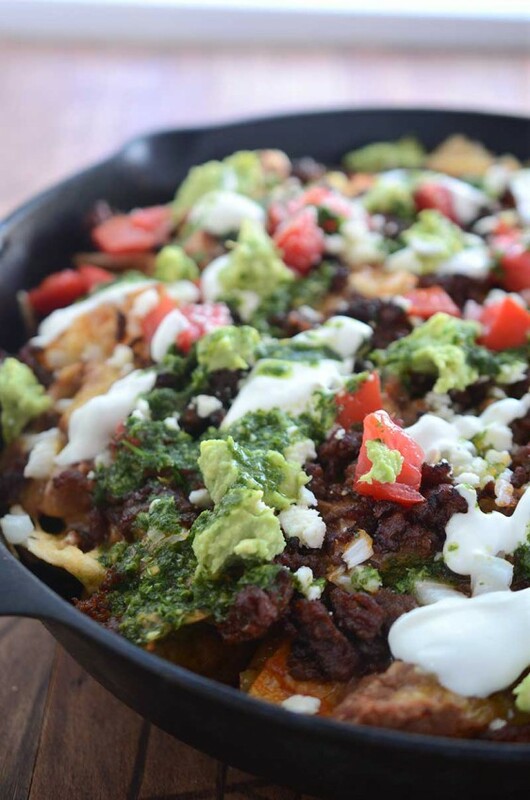 It screams game day…as in I am making this on Sunday for sure!